It’s an honor to be able to send you this message. Many of you know how much I love what I do and how much I enjoy practicing acupuncture and Chinese Medicine in McMinnville. Over the last several years I’ve given more than fifteen thousand acupuncture treatments and been privileged to meet so many wonderful people and help them find their best state of health. 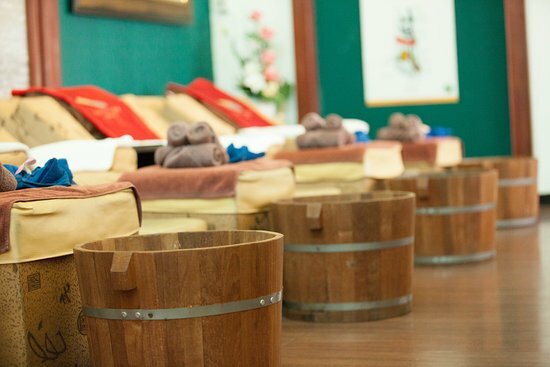 Starting in Mid-August, you’ll be able to come in for a foot soak before your acupuncture, sip some of our Xiao Yao tea, and upgrade your health in comfort. And if acupuncture isn’t your thing, you can always come in for a soak and sip. The foot soaks and Xiao Yao tea are two of the products we feature that utilize “Imperial Grade” herbs. This is literally the highest quality botanical medicine on the planet. So many of you have heard me recommend Yoga as a complement to acupuncture to help you get out of pain and stay out of pain, but the availability of great instruction for beginners and convenient locations in McMinnville has always been limited. And while I’m a decent enough human being, the person everyone really loves in this office is my wife Jocela Mae, but she’s been on maternity leave for the last 3 years and we all miss her presence in the office dearly. We’re about to tackle both of these conundrums at once: Jocela is returning to the office to teach Yoga! Starting in August she will be offering private lessons, small group and public Yoga classes in our new movement space. Her warm and joyful presence and skilled personal instruction will help you stay pain-free and strong and have fun in the process of learning. Our Yoga and Movement space will be adjoining the new foot soak room, so you’ll be able to have an “extended savasana” afterwards if you’d like by enjoying a foot soak after your class. We’ll keep you updated on the construction process and let you know as soon as we have a date set for our open house, where you’ll be able to sample both of these services and see the new space. In the meantime, access to appointments with me has never been easier; if you’ve been waiting to get in, now is a great time to call (503) 437-3391 to schedule.